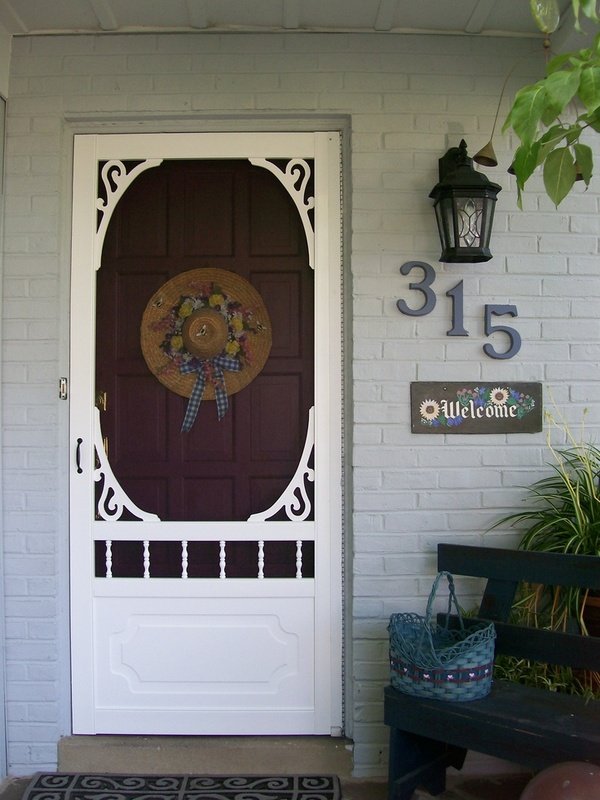 Home » DIY home and garden craft projects » Garden Arbors & Gates ~ Make An Entrance! 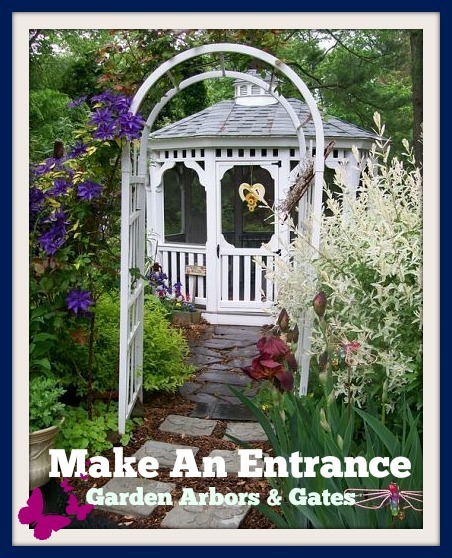 Garden Arbors & Gates ~ Make An Entrance! 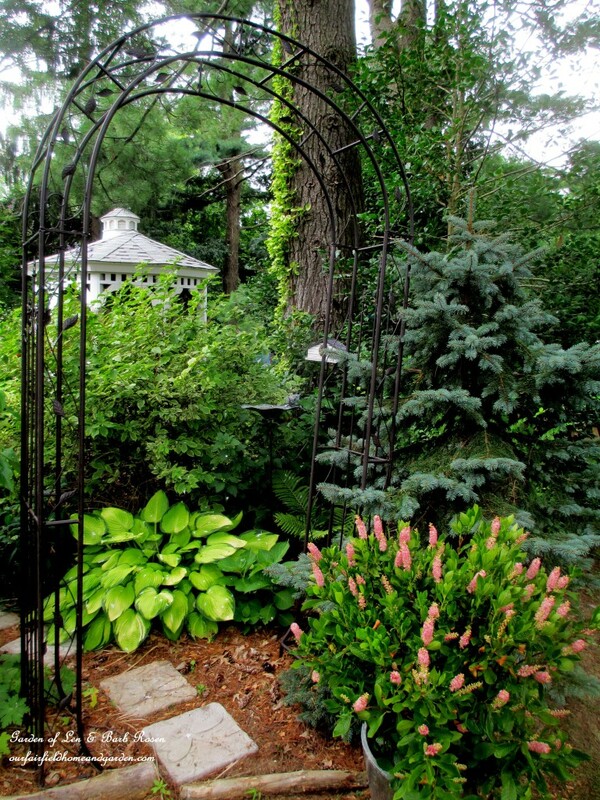 Garden arbors and gates are a sure-fire way to give your garden a sense of space and enclosure. 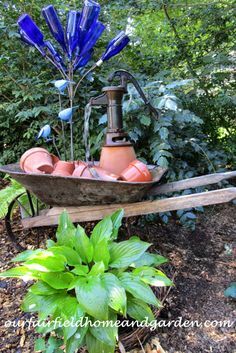 The going in and out creates a room-like feel for gardens large and small. 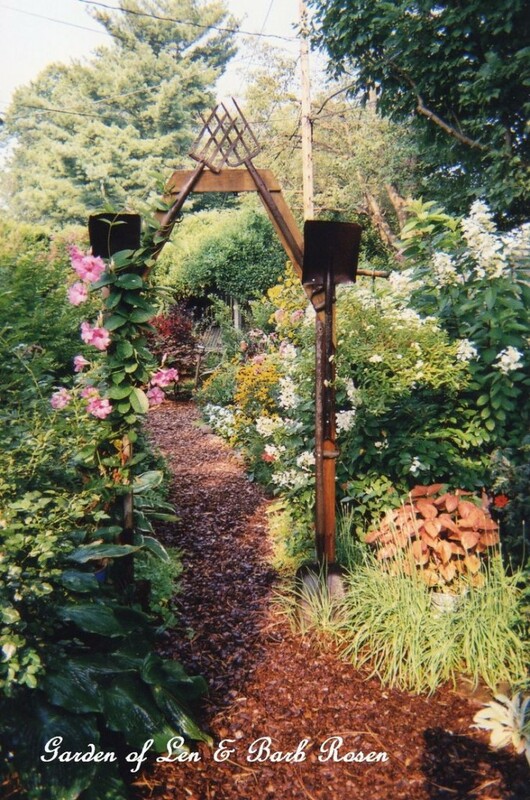 Marked at clearance because it was not symmetrical, this metal arbor worked fine mounted part way on a planting berm. Who would ever guess? Now it welcomes guests into our side shade garden. 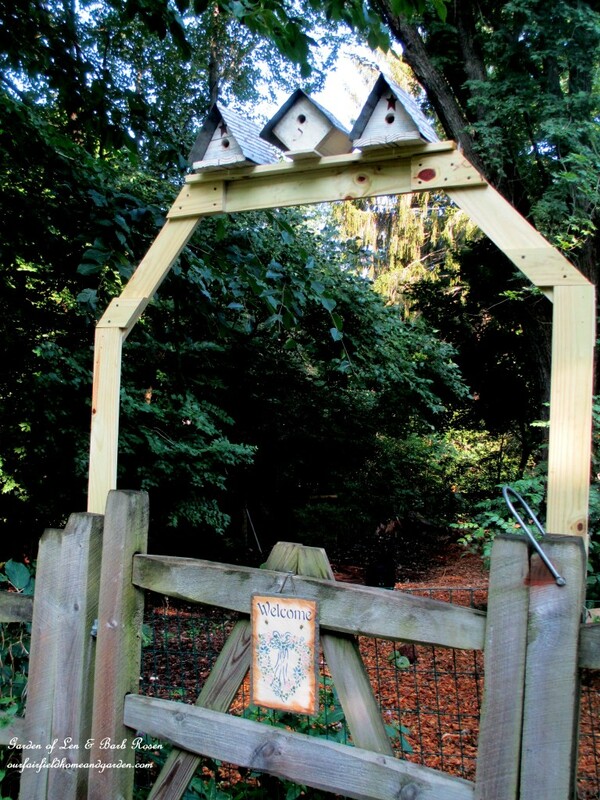 The two newest arbor creations here in our Fairfield garden are the Shutter Arbor and the Birdhouse Arbor. Three shutters with vintage tool braces welcome you into our new herb and vegetable garden. Pressure-treated lumber screwed right into the split-rail fence posts and topped with birdhouses gives a country-style welcome. 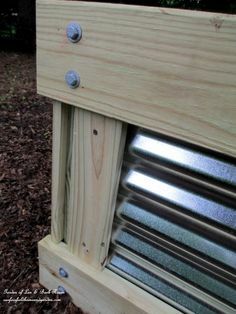 * The Shutter Garden is entered through an arbor made of shutters! 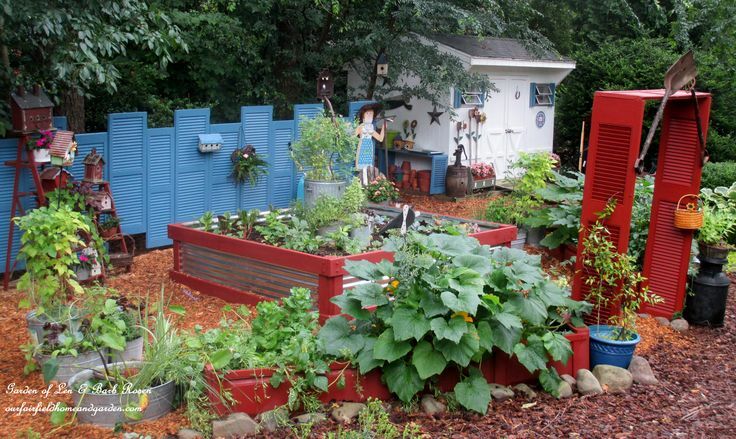 Commercial arbors are a bit expensive, but are a lasting investment in your garden. 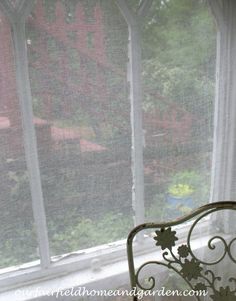 I bought these two white vinyl covered arbors six years ago for a no-maintenance option. 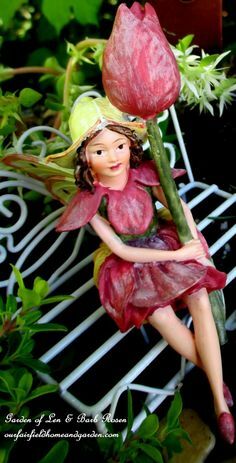 Situated on either side of our home, they lead into the gardens. 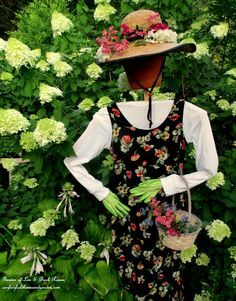 Plant vines such as clematis and roses and place potted plants and shrubs alongside to give your arbor the look of a door into something special! Garden Arbor planted with Montana Rubens Clematis and potted ferns. Simple branch arbors can be made for free from your garden trimmings. Live branches are more supple and easier to bend and work with than dead branches. 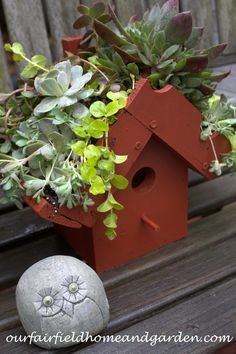 Attach them to a fence or dig a hole and back fill it to hold them upright. 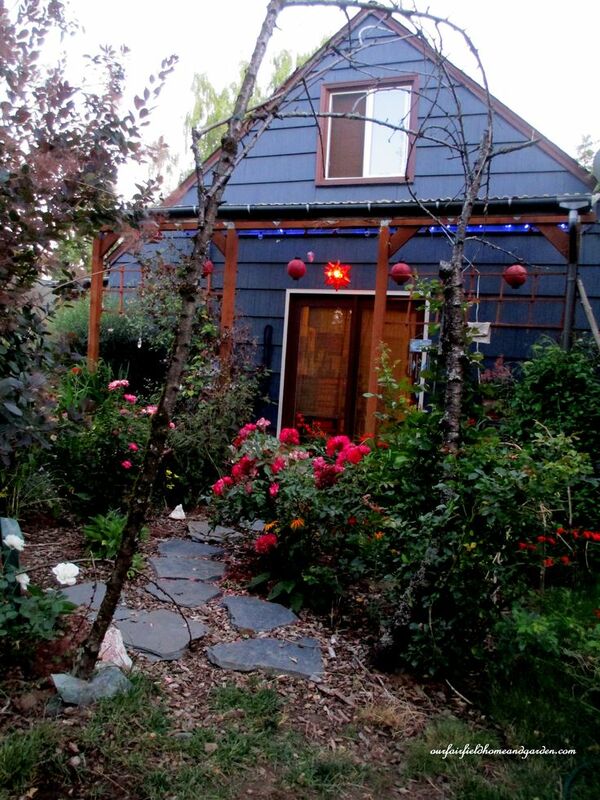 Here are examples from my daughter’s cottage in Oregon and our home here in Delaware. 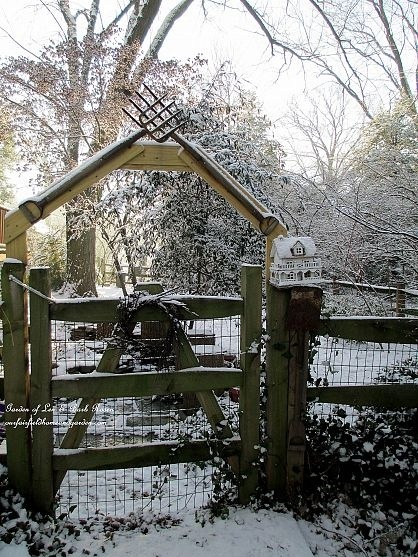 Even in winter, this crossed pitchfork garden gate looks interesting! 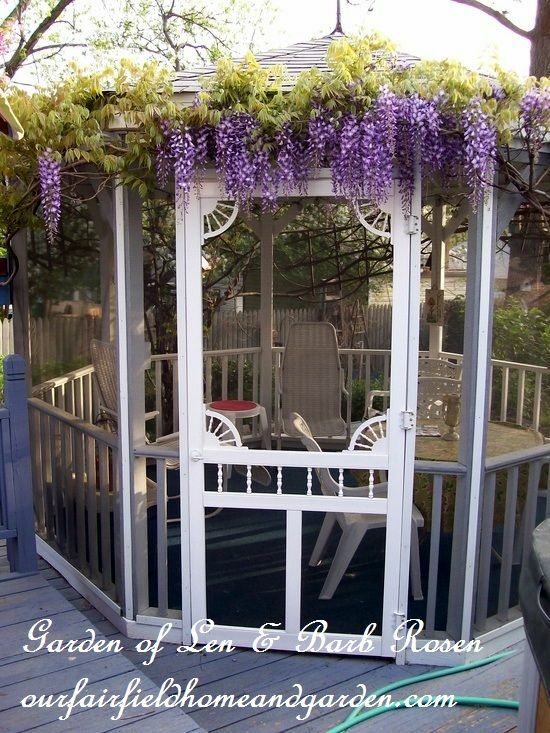 Wisteria can be trained onto and around sturdy structures like this gazebo. These sweet-smelling panicles make an entrance you won’t forget! 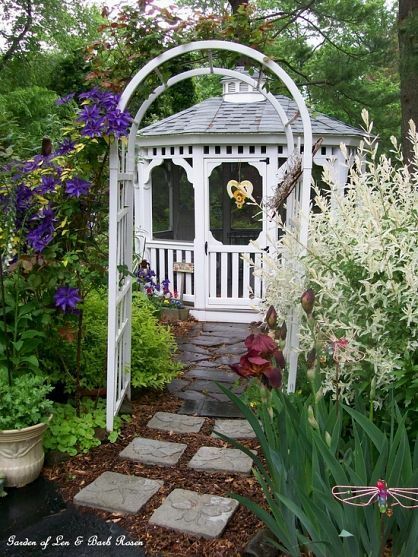 * Wisteria trained around a gazebo makes an extraordinary entrance! A little pressure-treated lumber and some vintage tools create the entrance to another garden room in a small yard. A potted Mandevilla nestled at the arbor base trails upward to take advantage of a vertical gardening opportunity. 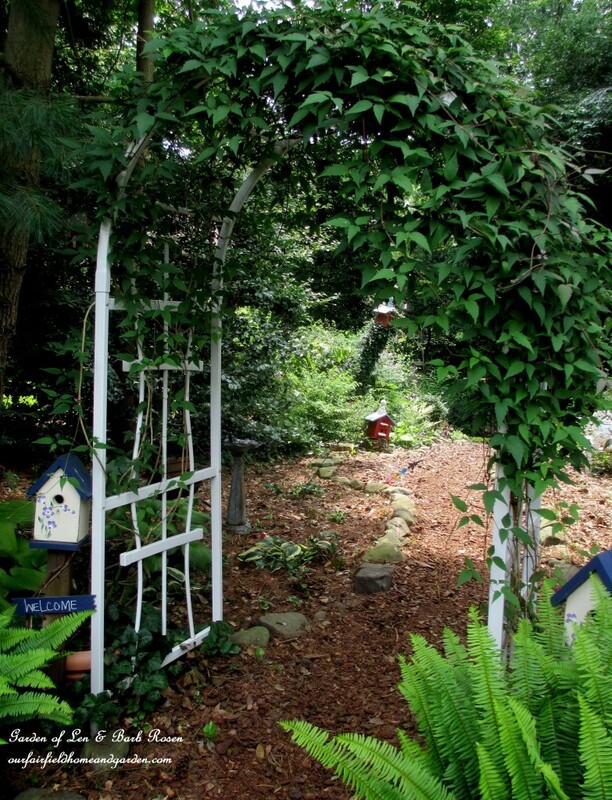 Even if you don’t have space to spare, you can make your garden entrance look more grand. This yard space is only 10 feet wide on the side of the house but incorporates a stone walkway and flower beds. 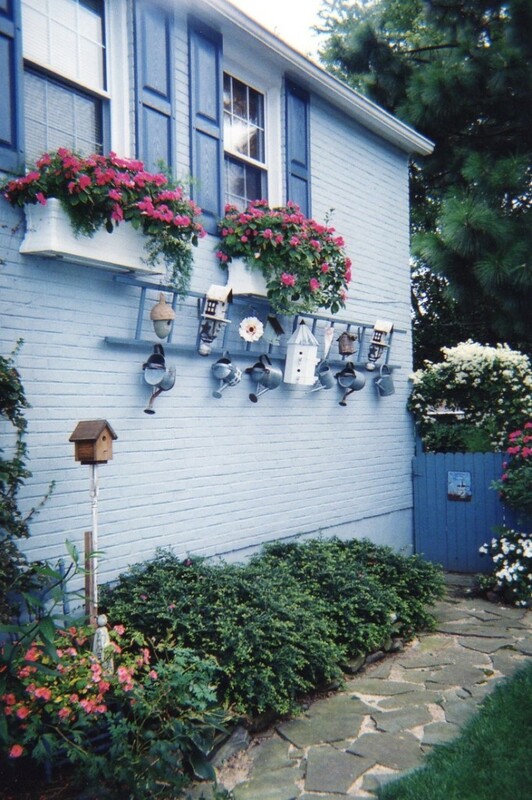 Vertical elements such as the windowboxes and a ladder with garden accents make a tiny spot look larger. 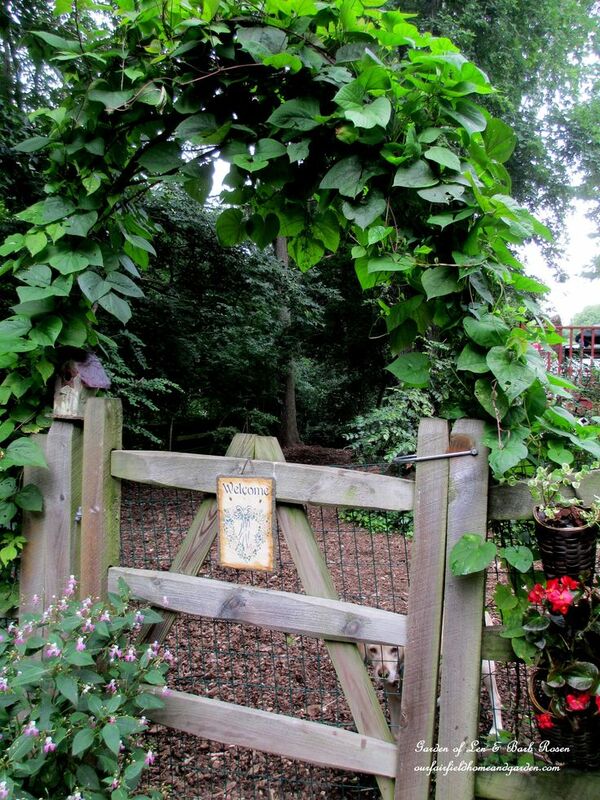 Vining Sweet Autumn Clematis on the gate’s wood arbor invites you in. 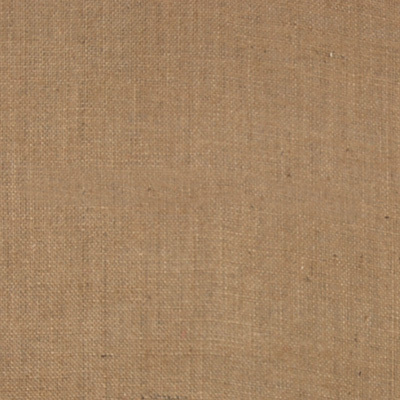 * A Screen Door Welcome! Thanks, Brooke! I joined your party!